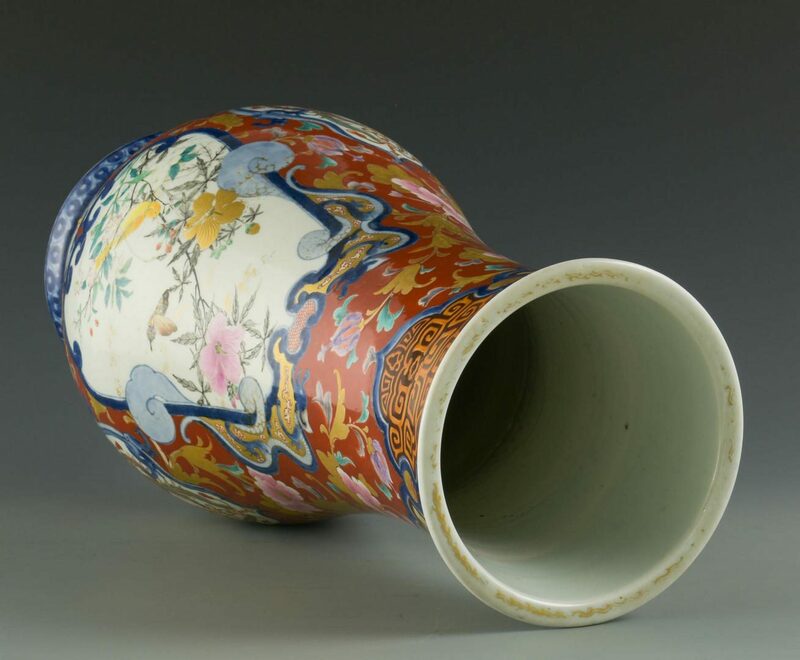 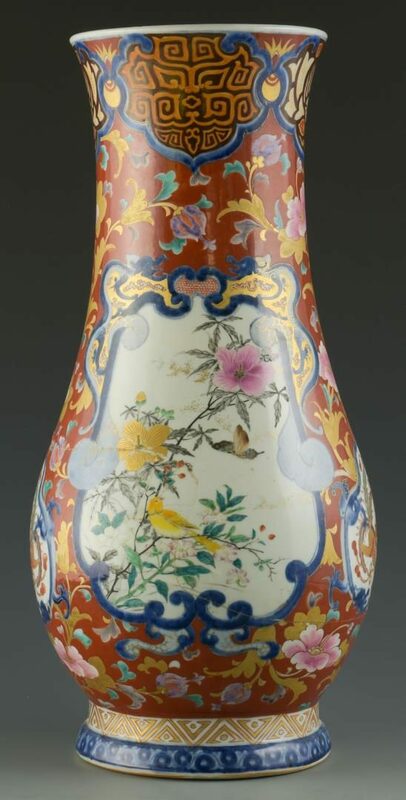 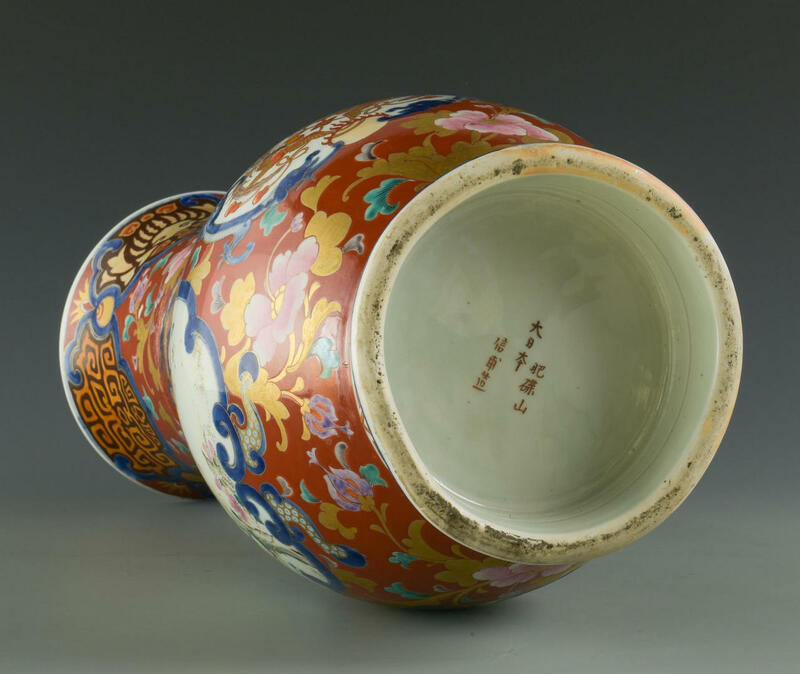 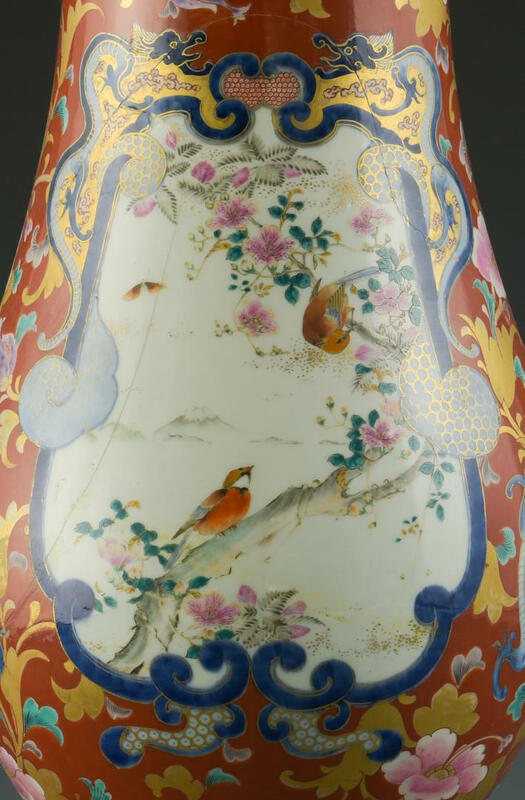 Large Japanese porcelain floor vase, marks for Hichozan Shimpo, having a gilt Imari palatte with floral, bird and insect reserves. 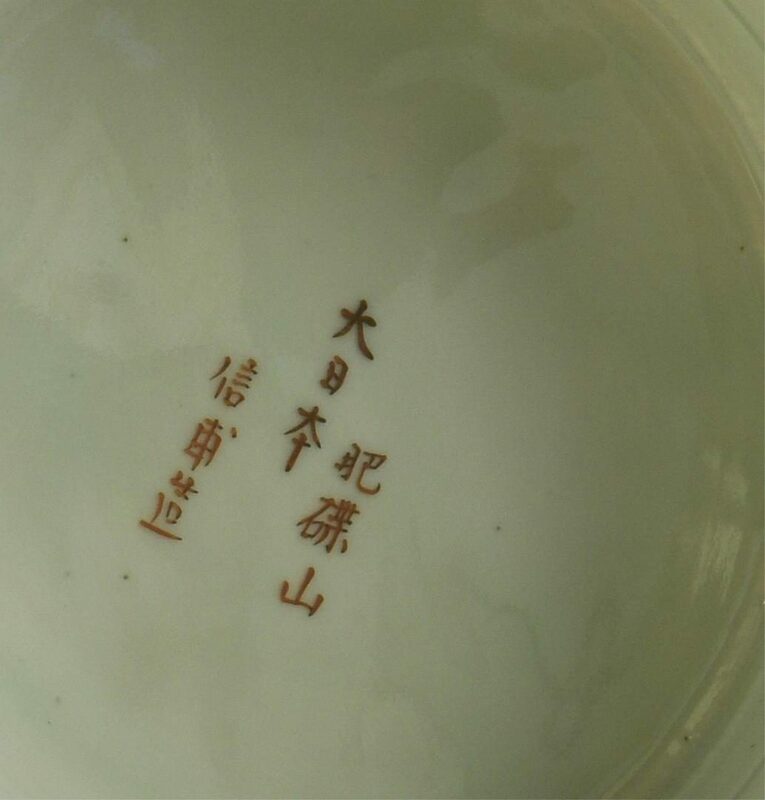 Six character red marks to the base. 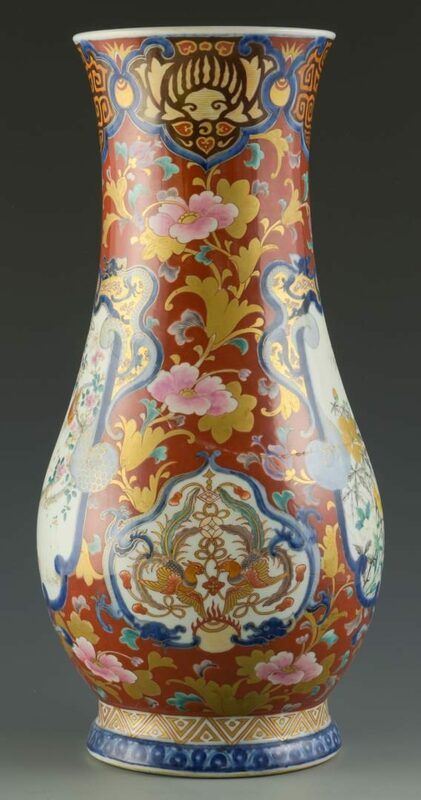 21 3/4" H. Late 19th/Early 20th century. 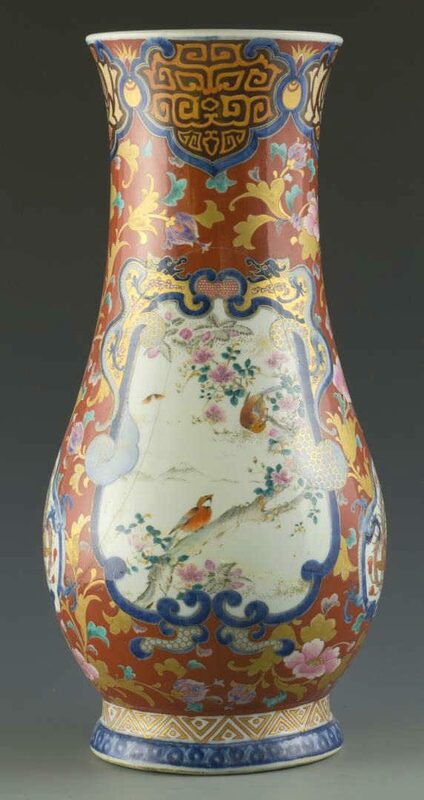 CONDITION: Several old repaired large breaks to lower body, Scattered wear and losses to gilt decoration.